It’s the graveyard shift at the SOC. Ana and Elsa are on duty, when suddenly it becomes clear that Bad Things are afoot. The nightmare scenario has come about – the Evil Hackers have come for them, and now the company has got to deal with it. To keep their spirits up, they sing along to the Incident Response plan – now you can sing along too! And our Brand has lost its sheen. Journalists are at the door! Can I fob them off..? 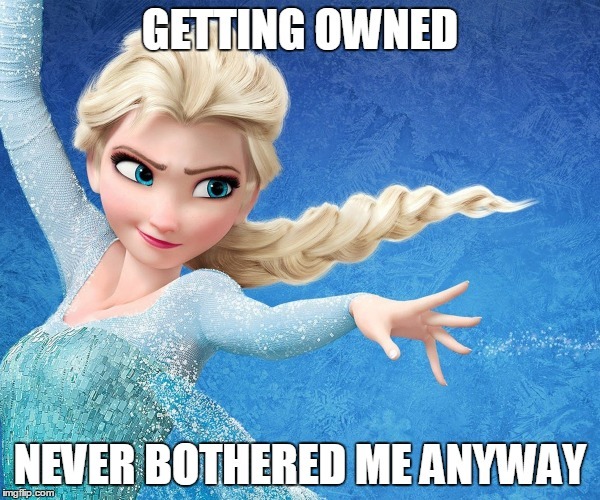 The press never bothered me anyway! Today you’ll see me cry! Who got owned, who got owned? This entry was posted on 29 October, 2015 at 17:50 and is filed under General Security, Silly. You can follow any responses to this entry through the RSS 2.0 feed. You can leave a response, or trackback from your own site. I thought I had finally got that song out of my head 😦 , Brilliant A, one of your best! Perhaps we could get Dido to sing it? Not this one, the other one?